Nearly 4,000 scholarship and financial aid opportunities highlight the Illinois Department of Employment Security’s effort to use education and job training to build a better workforce. Educational attainment is the best predictor of employability. Job training is the key to a skilled and adaptable workforce. IDES’ Career Information System is a pathway for both at www.ides.illinois.gov/careerinfo. It offers step-by-step instructions on how to evaluate a career, obtain the education and training needed for that career, and establish a timeline to guide the journey. Student career portfolios. Students can create online portfolios through My Portfolio. It stores assessment results, career and course plans and work examples. It also provides a way to create and store resumes. Kids and Careers: How Families Can Help Youth Succeed. This career planning brochure provides parents with important timelines for the career planning process, starting in middle school. It highlights the link between education and earnings. CIS Junior. This career exploration website for middle school and junior high students features an interest survey, an introduction to occupations and tips on which classes will help students reach their careers goals. CIS Job Seeker has videos on interviewing dos and don’ts as well as one-minute video clips of 500 occupations. A comprehensive job hunting resource called Career Gateway Job Seekers Guide contains tips on career management, social services, budgeting, goal setting and job hunting. The 90-page downloadable workbook also is available as on online guide. 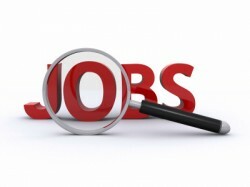 Links to a variety of national job search boards through the Job Boards and Resources section. A military employment section that helps with the transition from armed services jobs into civilian occupations.